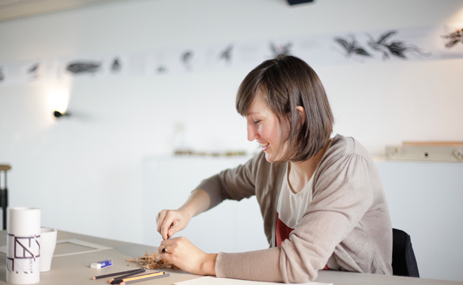 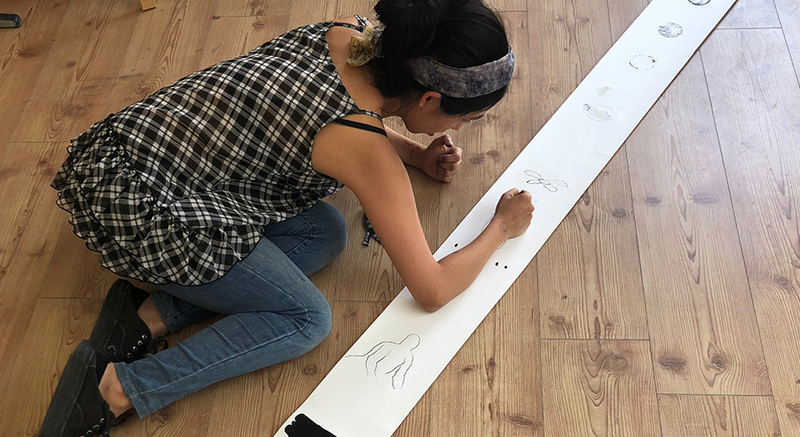 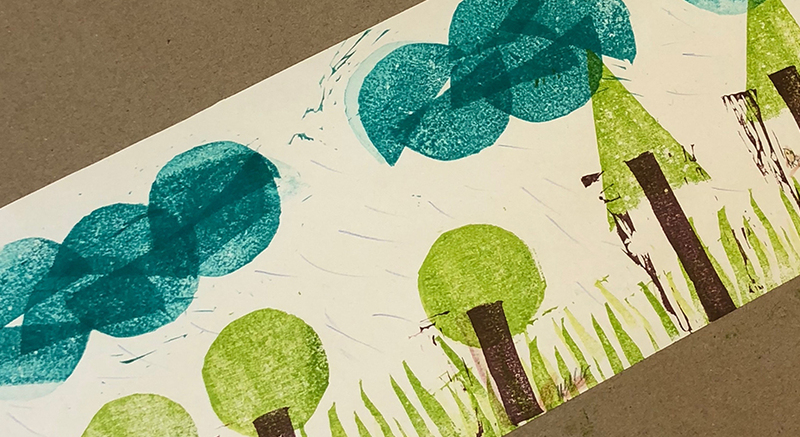 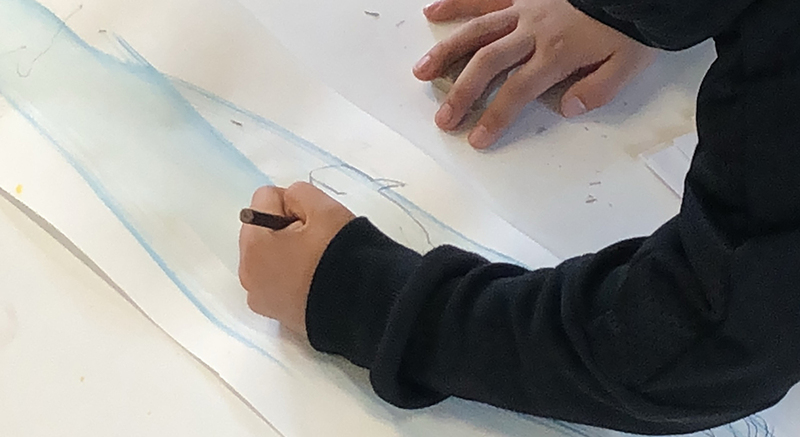 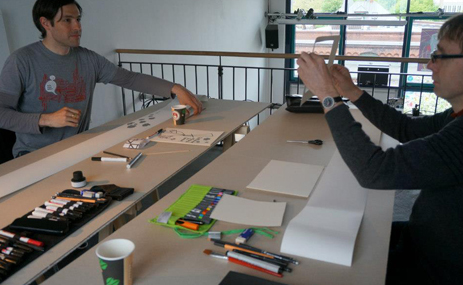 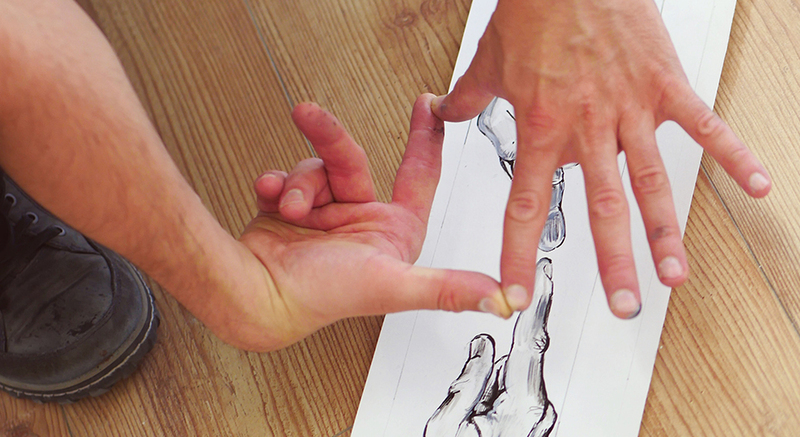 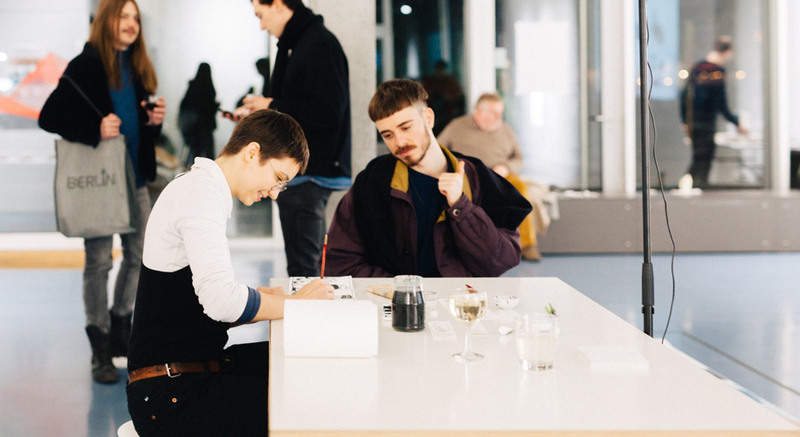 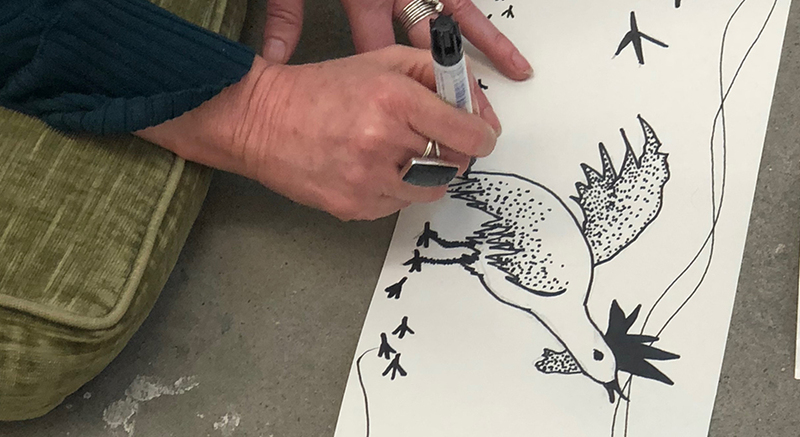 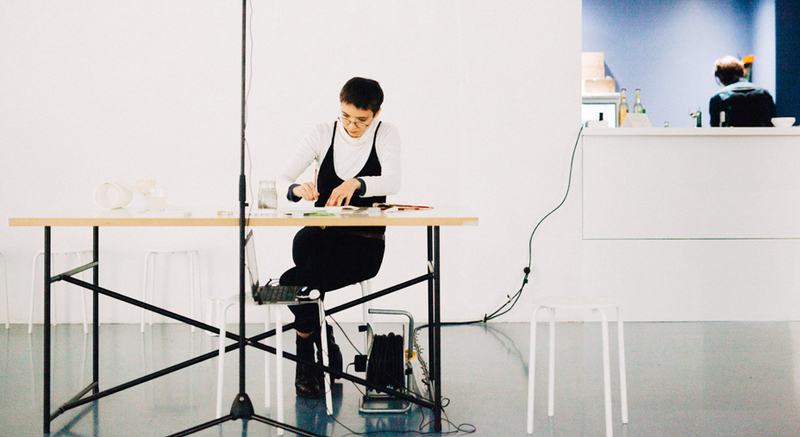 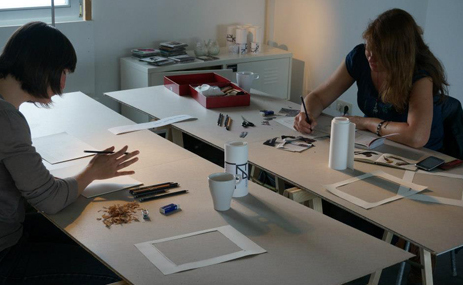 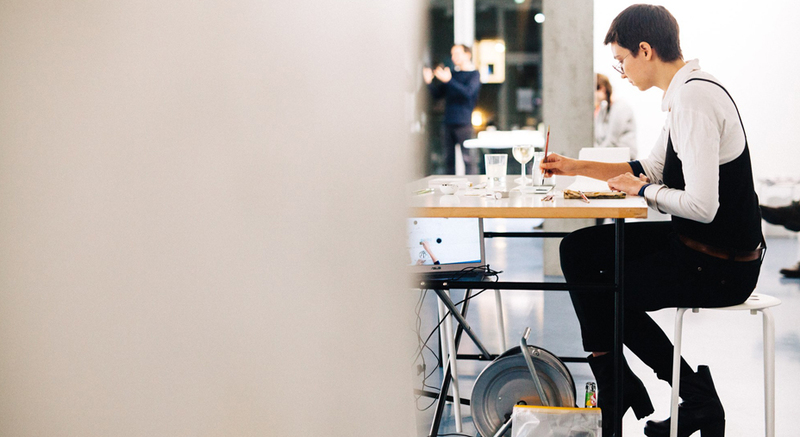 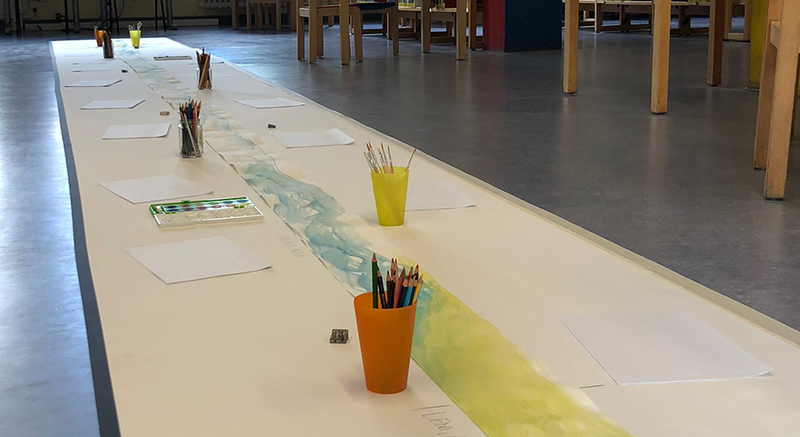 Rollbuch regularly initiates workshops in which not only children and school classes, but also artists can explore the long paper format and the kinetic that the Rollbuch holds. 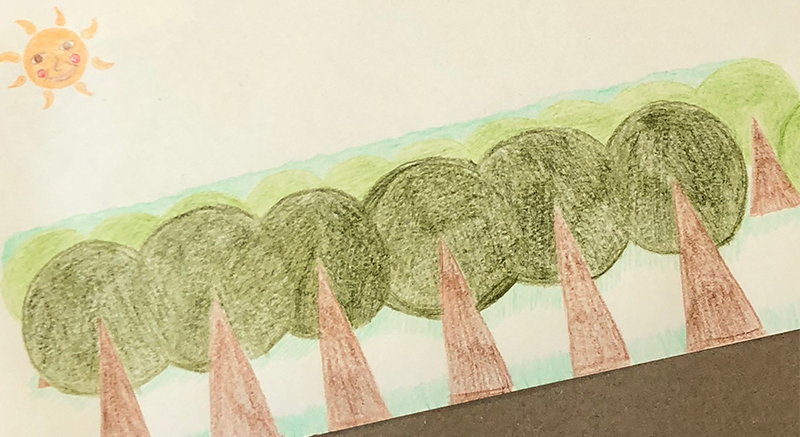 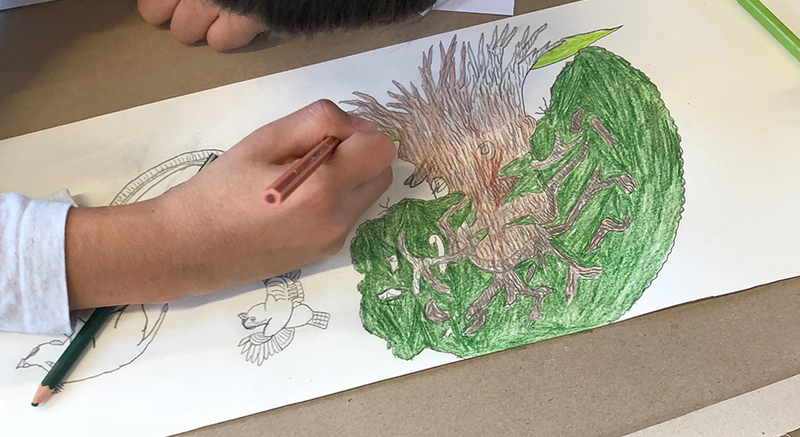 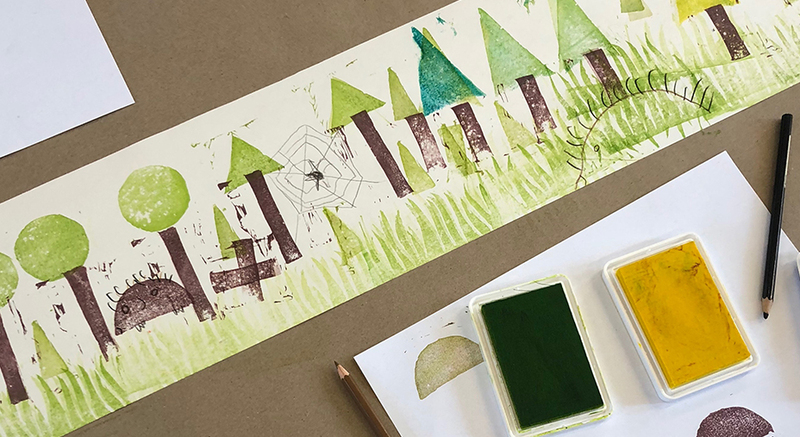 In cooperation with the Dietrich-Bonhoeffer library in Charlottenburg and a school class, we have given a "Rollbuch" workshop to the topic "forest" in october 2018. 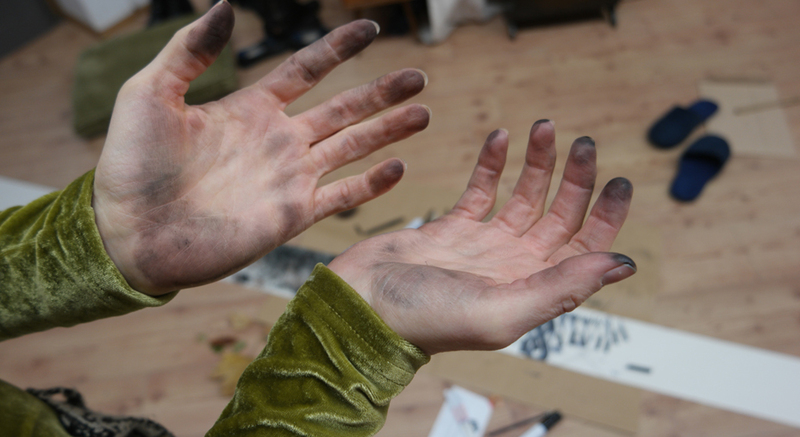 Here you can see some impressions of the really magical results. 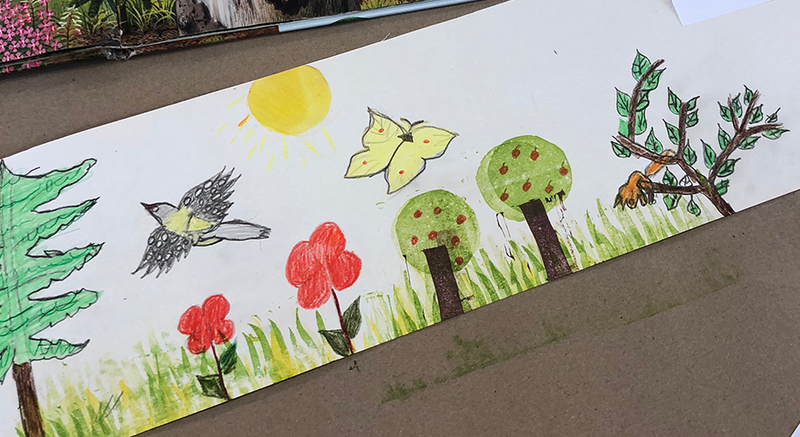 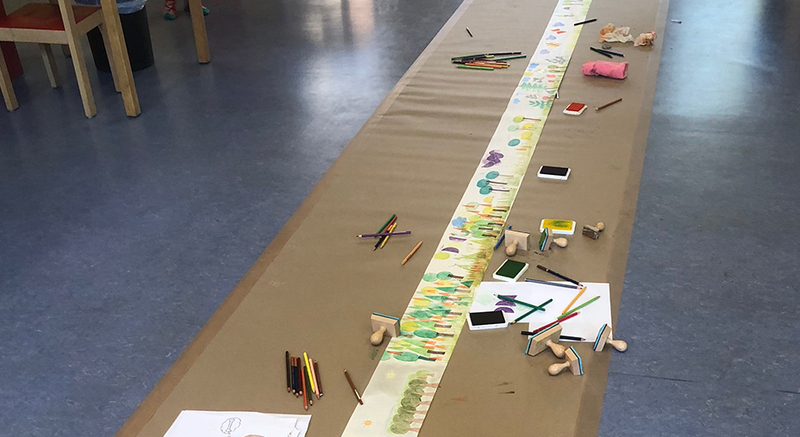 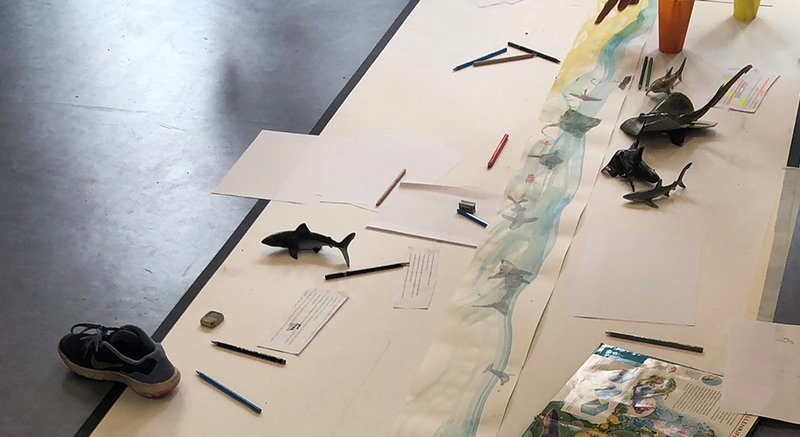 At the end, the children were allowed to take along their work, including the Rollbuch, plus an extra blank roll, so that they could create another story on the 10-meter-long paper back in school. 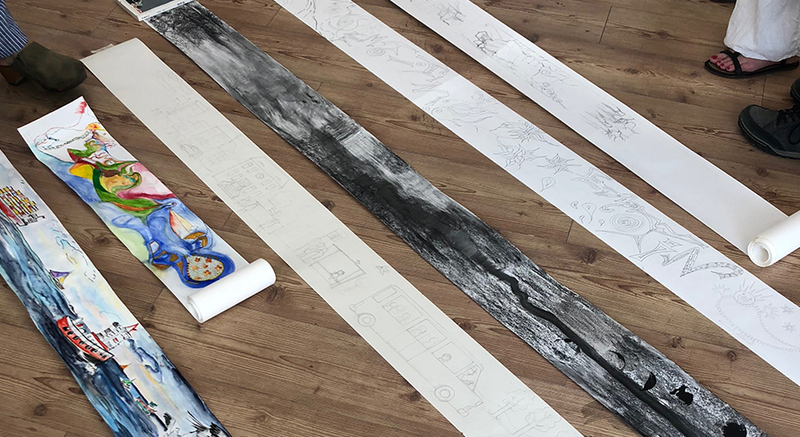 6 artists illustrate their interpretations of the music piece Camille Saint-Saëns - The Carnival Of Animals on a paper roll, listening to the composing while working. 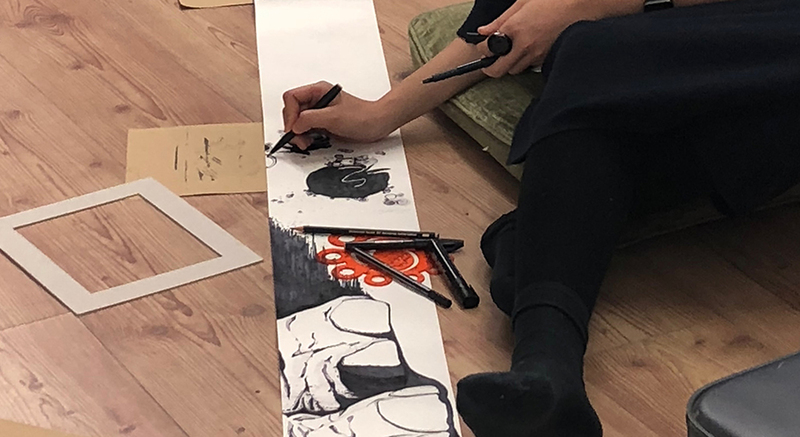 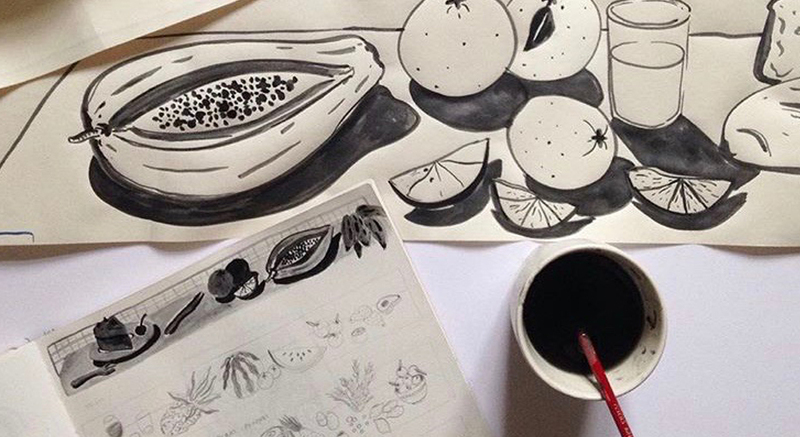 Each artist will take care of a specific chapter of the composing, so that we will have achieved one final art work by the end of the workshop. 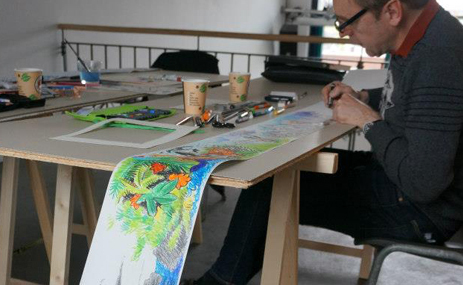 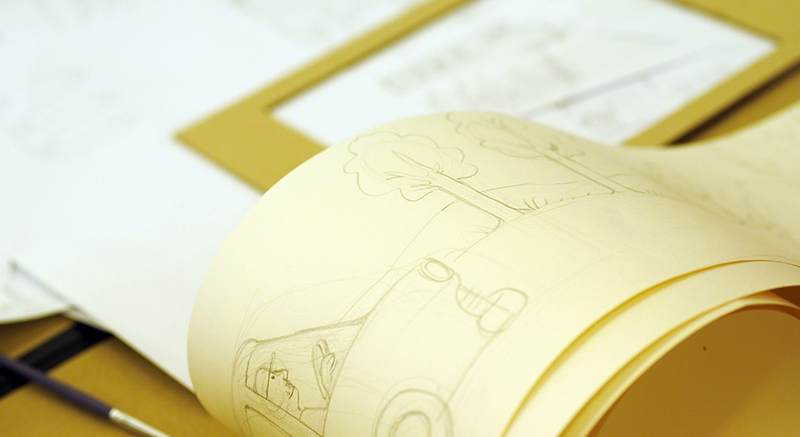 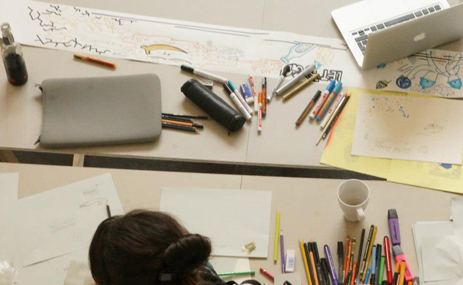 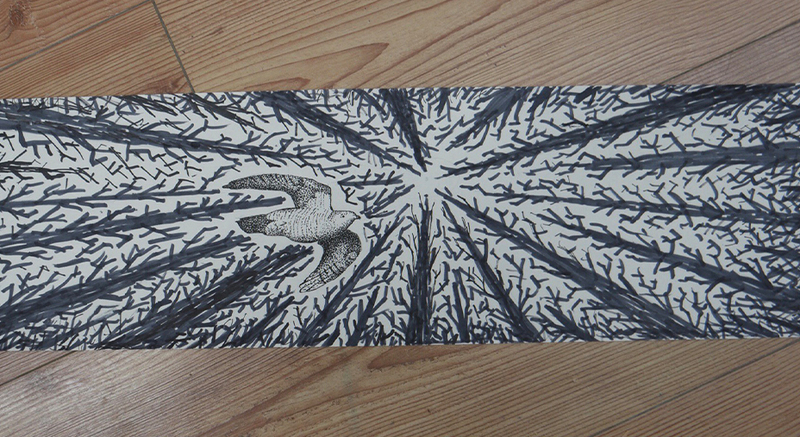 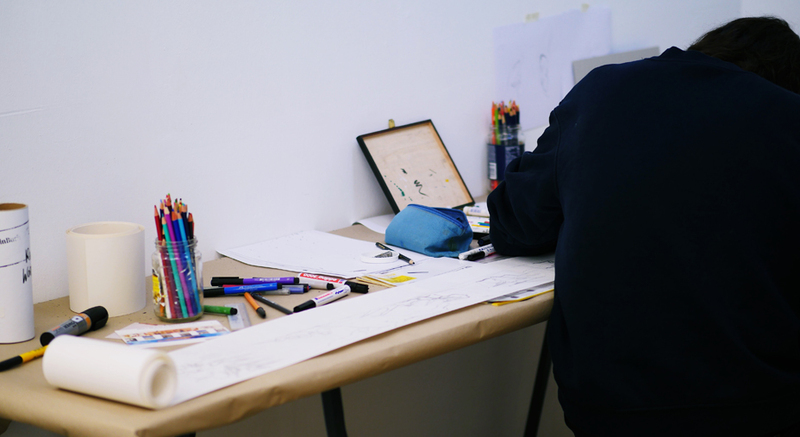 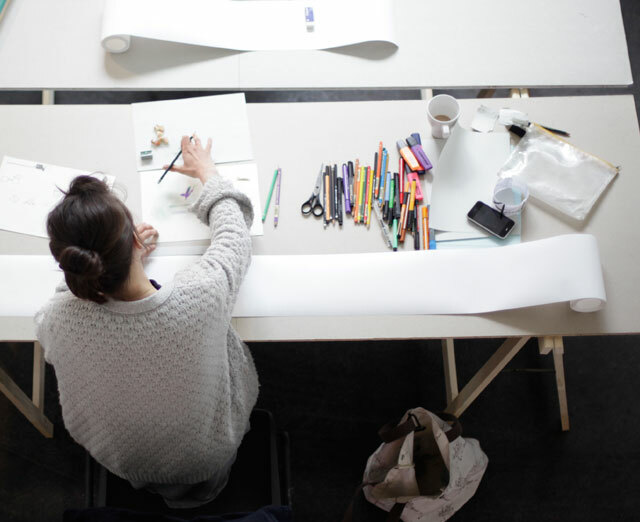 Each illustrator was challenged by ten meters of blank paper and the same drawing materials. 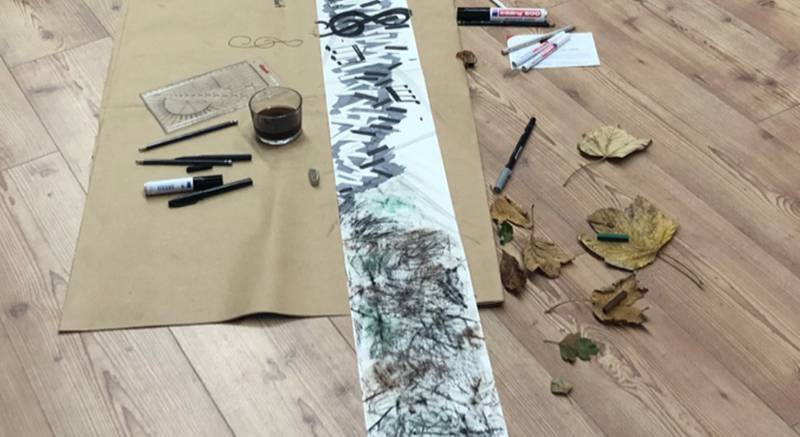 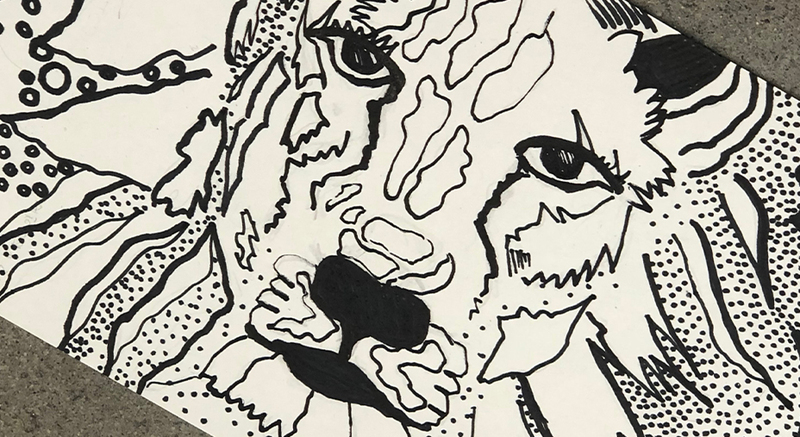 As the workshop went along, though, it was clear that their approaches were wildly different from each other, thanks to the "endless" length and the motion possibilities of the format. 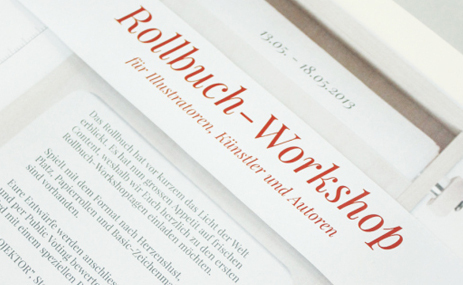 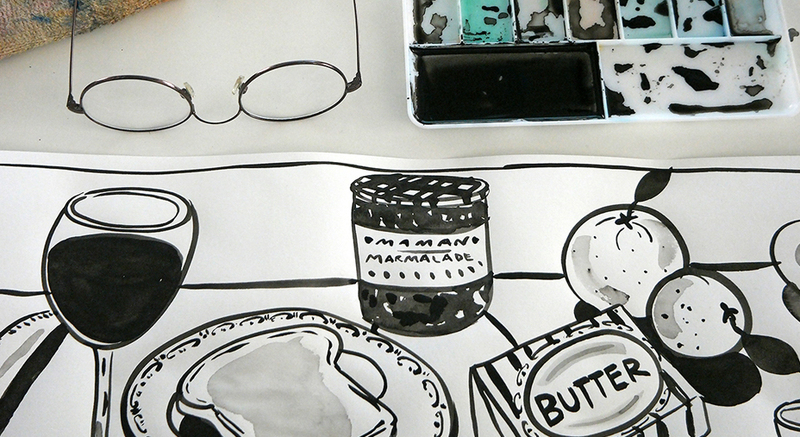 If you like to participate in the next Rollbuch Workshop, just write us an email. 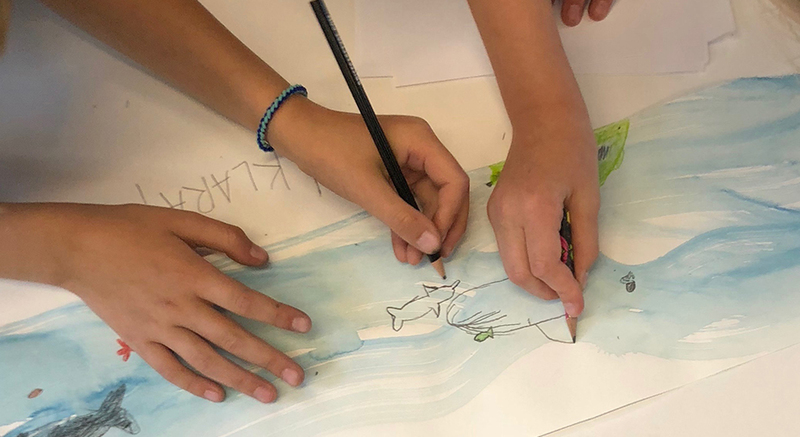 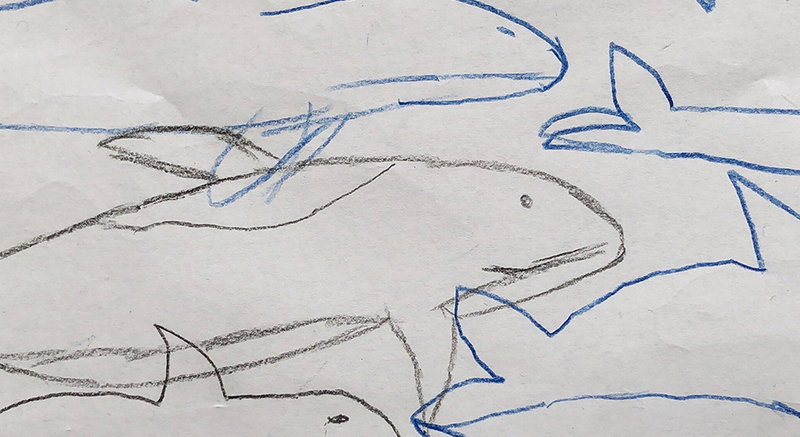 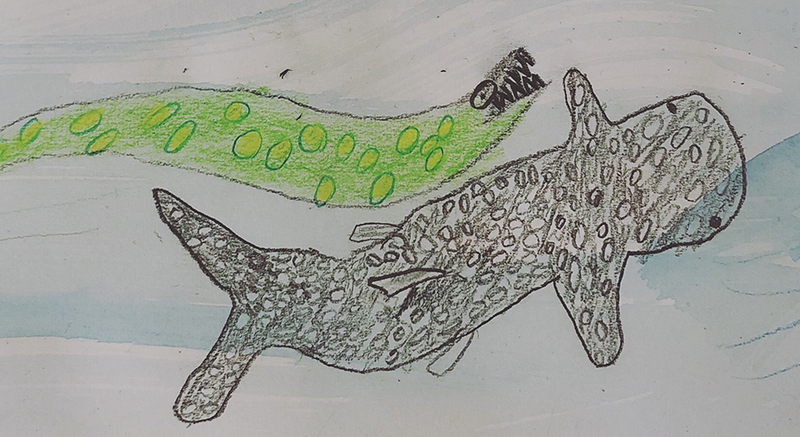 In cooperation with the Comenius School and Library Charlottenburg / Wilmersdorf, we initiated a roll book workshop about plastic pollution in the ocean with the school class 4ic in June 2018. 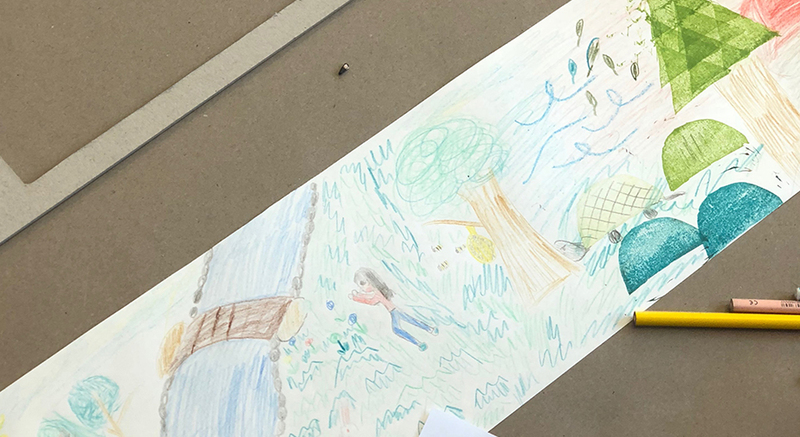 The school class has dealt with it in advance over weeks and wrote themselves a story about a plastic bottle on a journey. 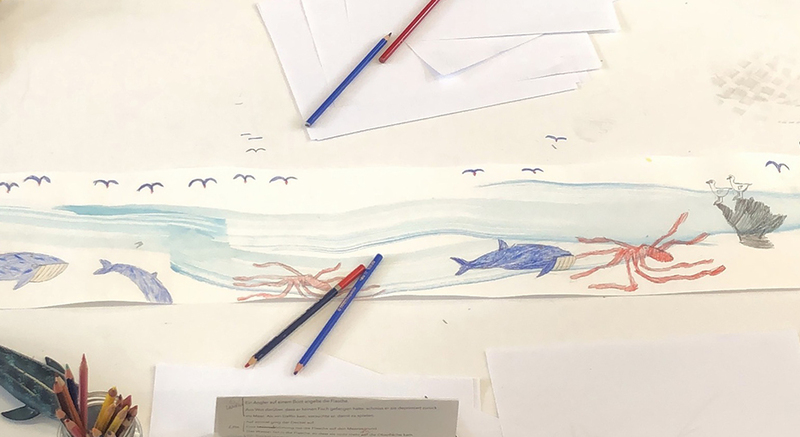 The kids than brought this story on 10 meters of paper while the workshop. 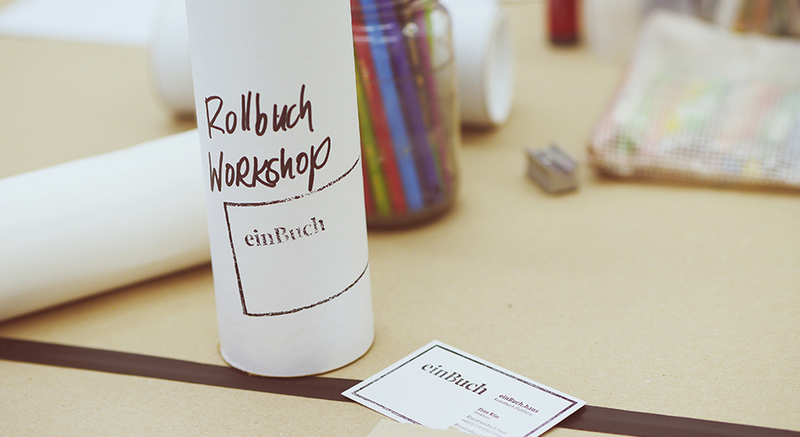 The school class has been able to take the result with the Rollbuch back to school. 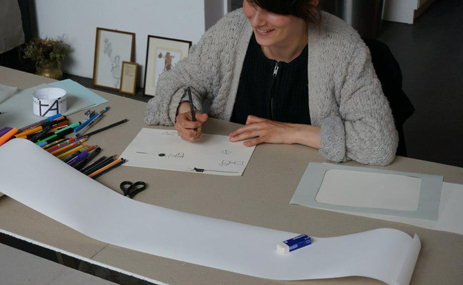 For the Rollbuch exhibition in Nov. 2017, we had a live drawing performance by Tara Deacon. 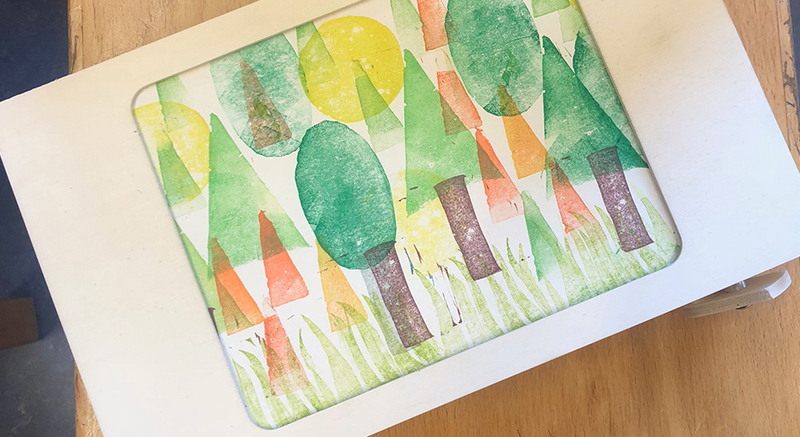 She explores nature, mostly in watercolor, gouache and ink, with a feel for innocence and nostalgia. 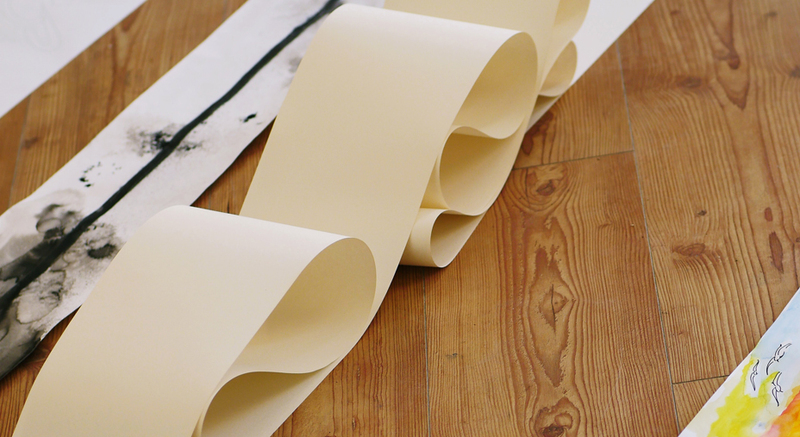 On the exhibition, she covered 11 meters of papers with a illustration of a never-ending dinner table. 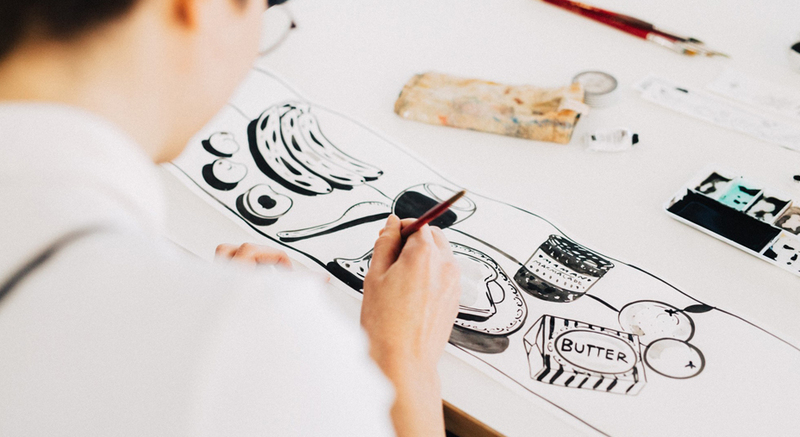 Her work was projected on a wall, inviting every guest to be a part of this beautiful picnic feast.